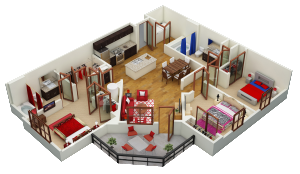 Our luxury apartments are multi-faceted by design and intended to make every aspect of your life better. We are Located in the heart of South Orlando’s employment and entertainment centers with world class shopping and nightlife. Apartments located near Universal Studios, Disney, and many more attractions! PET FRIENDLY – WE ACCEPT LARGE DOGS!